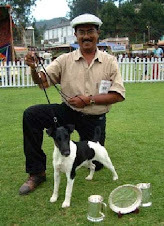 This blog is maintained for the sole purpose of giving the dog lovers of this country a forum to air their views and to address their problems. Much has been said and written about dogs, man’s best friend. But how much of what we read is what we really want to know? Or can we hear much more and be receptive, too? Everyday dogs are used for more and more varied uses to serve man. But the noblest of all is as the ever-faithful companion and friend. Everyone knows that dogs stand by their friends. Understanding our every need. But how much of the dogs’ needs do we know ? What do dogs really think? What do they really need? What do they really want us to be? Are we really the friends to the dogs who give us so much and ask so little in return? Firstly do we really understand them? Dogs however noble, are animals. And as animals they have set patterns to living and eating. All the training we give them is only using some of their basic habits disguised to our advantage. Dogs are pack animals. And therefore they think we are a part of the pack they belong to. Their pack system is based on a hierarchical system on age, Just like our family structure. Hence the head of the family automatically becomes the pack leader in its eyes. Once he is out, the leadership is transferred to the next dominant person. And the dog being a pack animal needs the companionship and security of the pack. If we can now understand the basic pack-structure then we can understand why dogs feel miserable when separated from the family. And the worst punishment for a dog is for it to be brought up alone. If you have more than one dog and you want to kennel it. Don’t kennel them separately. For dogs brought up alone end up becoming vicious animals. And we have heard of enough examples of the damage and harm caused by such animals. And inevitably always the dogs have been humiliatingly punished in the end. Without any consideration as to who created the problem. As dogs are pack animals we must remember a few things. One is that they live together for protection and they also defend the pack. Just as they enjoy the protection of the pack, they also protect all members of the pack. They warn the pack of any intruders by barking. And as they live in dens they also keep the den very clean. Does all this sound familiar? This is the first and most exciting step in having a dog. Everybody is excited and fusses over the new arrival. The children think it’s cute, sweet etc., The mother thinks it’s too thin and should be fed. The father wants a guard dog. The little boy wants it to start playing ball with him. And the list goes on and on. All this from a puppy, a few weeks old. First remember the puppy is the equivalent to a baby two years old. It has to eat several small meals. And sleep a lot. And every time it wakes up it has to relieve itself. So as it wakes up, take it out. As puppies have small stomachs give them several small meals instead of three large ones. Remember a puppy brought up well is a stronger healthy adult. And same goes for exercise. Let it play for a few minutes and it will doze off after a while. It knows when it’s tired. Don’t over tire it. At around 4 months it will start to get its permanent teeth. At this time it will start chewing slippers, rugs etc. to get rid of it’s milk teeth. The ideal is giving a coconut husk, an old rag or something it can tear to its heart’s content. This solves a lot of problems. This is a very important aspect of dog training about which everybody seems to have his or her own way. Some of these ways include rubbing the face of the puppy in the dirt, hitting it while showing it the place where it has messed etc. Babies take several months to be toilet trained. I have not heard theses methods used on them. There are two important and simple things to remember. First is that dogs relieve themselves as soon as they wake up. Second is that they go to the same place usually. The fastest way to house train is to put you puppy in the garden of on a sheet of newspaper as soon as it wakes up. Then as soon as it has done its business take it in again. Once this is done a few times, you have a perfectly house-trained pup in a few days. Simple! By the time it’s five to six months old you can reduce the number of meals by dropping off the last one first. And working down to two meals a day by the time it’s eight to nine months old. As mentioned above dogs are pack animals. A dog, not brought up with the human family (his pack), has no reason to defend it members or its property. We have read how dogs guard houses and property of its owners. And how they died defending children against other animals. But what is never mentioned in these cases is that all these animals were brought up with lots of love and affection. And how can a dog protect you or your property if it’s locked up all day. Remember a well brought up dog is an asset. While a bad one is a very sad and dangerous thing to have. A dog with a little basic training care can be the biggest asset you will every have. Dogs are easily the most popular of pets. But this is not all. Dogs are also more useful to us than any other animal around. How did it all begin? There are probably as many theories as there are breeds. But the simple fact is that some where back in time he left his pack and joined ours. From a symbiotic relationship probably starting with survival it has now become the most preferred companion. The use of the dog in all aspects of our lives has been the greatest boon of nature to us. Dogs are primarily pack animals. If you do not understand this you will never be successful in having a dog. Understand this thoroughly and not only will you have the best dog but you could also have any number of them without much of a problem. Dogs have a hierarchical pack system quite similar to ours. The oldest being the head of the pack. This is one of the main reasons that dogs adapted to being with us so easily then and they still do. When you bring a puppy into your home remember it is still a puppy. Quite like a bay it should not be just fed and locked up. Because if you do, like a baby it will scream to get your attention. Like a baby it must also be fed several times a day with small meals, and just like babies they cannot control their bowels. When they do you should not try to rub their noses in it. You do not do this to babies. House training a puppy is simple. As it wakes up take it to a particular place and wait till it relieves itself. Bring it in as soon as it does. Repeat this at the same place and before you know it, its house trained. Curiously another fully functional thing that a dog has is an inbuilt clock. Believe me it is more reliable than anything else you’ve ever seen. This is a great built in feature that if used properly can make having a dog very easy. Feed a puppy at the same times and same place every day. This habit created will remain with it always. The real advantage is come mealtime it will be at its place waiting. This also discourages scavenging. This also works for other activities such as playtime. Play with the dog at a particular time and it will wait for it, and in case you forget it will remind you. Take it for walk and it will do the same. The advantages of having the dog used to times like this is obvious, clean house to say the least. Dogs usually sleep a lot. This happens after they have had their meals and played a bit. So when their feeding and play times are regular they sleep in between these times. This stems from the contact with dogs. This is not to be confused with dog ownership. It has been proven that a reduction of cardiovascular and psychological anxiety has been shown in persons when in the presence of a pet. This goes further a pet gives social support as dogs provide social support as they also are good facilitators of interactions between people. There was study where wheelchair users experienced more positive social interactions with strangers when they a accompanied by a dog than when they were not. Dogs being used in therapy started in the 18th century where mental patients used them to help socialize patients with metal disorders. Animal assisted therapy increases a person with Alzheimer’s disease’s social behavior’ such as smiling and laughing. One study demonstrated that children with ADHD and conduct disorders who participated in an education program with dogs and other animals showed increased attendance, increased knowledge and skill objectives, and decreased antisocial and violent behavior compared to those who were not in an animal-assisted program. Ever since the wolf made friends with the cave man and walked into his cave the dog has moved into our hearts and remained there since. Lots of dogs which are favored pets may adopt a certain dominant attitude. This is generally found among male dogs that are brought up alone. While as pups they are to be cute when they growl playfully at you, as adult that resist you and even challenges you it could seem rather dangerous problem. Like children dogs have to brought up firmly yet with a lot of love. All good behavior must be rewarded and rebellion must be checked. This stems from the wild nature of the dog being a pack animal. They will simply behave this way unless you the pack leader put it in its place. While the well trained dog is a joy and an asset to possess an uncontrollable and aggressive dog is a life threatening liability. Take the a business of keeping a dog seriously, give it basic training and you will have the best companion for life. Listed below are some of the more commonly faced problems associated with bossy dogs, and how to tackle them. For some people, the phrase “top dog” isn’t just a saying It actually describes their dog. If you’ve got a dog who likes to boss you (or others) around, chances are you’ve got a dominance aggression problem in your household—a problem that could endanger you, your family, and others. Most dogs assume a neutral or submissive role toward people, but some dogs will challenge their owners for dominance. 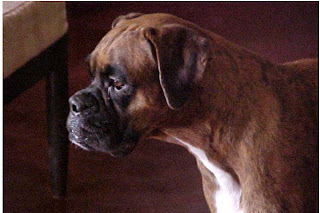 A “dominant” dog may stare, bark, growl, snap, or even bite when you give him a command or ask him to give up a toy, treat, or resting place. Sometimes even hugging, petting, or grooming can be interpreted as gestures of dominance and, therefore, provoke a growl or snap—and this is true even though your dog may still be very affectionate and often solicit petting and attention from you. To understand why your dog behaves in these ways, it’s important to know some things about canine social systems. Animals who live in social groups, including wolves and domestic dogs, establish a social structure called a dominance hierarchy within their group. This hierarchy serves to maintain order, reduce conflict, and promote cooperation among group members. A position within the dominance hierarchy is established by each member of the group, based on the outcome of interactions between themselves and the other pack members. The more dominant animals can control access to valued items such as food, den ites, and mates. For domestic dogs, valued items might be food, toys, sleeping or resting places, and attention from their owner. If you recognize the beginning signs of dominance aggression in your dog, consult an animal behavior specialist immediately. Avoid using any form of physical punishment on your dog. Getting physical with a dominant dog may cause the dog to intensify his aggression, posing the risk of injury to you. If your dog has shown signs of dominance aggression, take the following precautions to ensure the safety of your family and others who may encounter your dog: Avoid situations that bring out aggressive behavior. Back off and use “happy talk” to relieve the intensity of situations in which your dog acts aggressively. Supervise, confine, and/or restrict your dog’s activities as necessary, especially when children or other pets are present. Use a head halter or muzzle to help control your dog when you’re outdoors. Brand names of head halters include Gentle Leader, Promise Collar, or Halt. When you’re indoors with your dog, control access to parts of the home by using baby gates or by crating your dog. You can also use a cage-type muzzle, head halter, or leash for control purposes—but do so only when you can closely supervise your dog. aggression problems should always be supervised by an animal behavior specialist. Use the following techniques—none of which require a physical confrontation with your dog—to help you gain some control over your dog and establish yourself as the “pack leader”:Spay or neuter your dog to reduce hormonal contributions to aggression. Understand spayed or neutered, it may take time for those hormones to clear from the body.In some cases, long-standing behavior patterns may continue even after the hormones or other causes no longer exist. Use a training technique called “Nothing In Life Is Free” to establish your leadership in a safe, non-confrontational way. This technique requires your dog to “work” for everything he gets from you. Have your dog obey at least one command (such as “sit”) before you pet him, give him dinner, put on his leash, or throw him a toy. If your dog doesn’t know any commands or doesn’t perform them reliably, you’ll fi rst have to teach him, using positive reinforcement techniques, and practice with him daily. You may need to seek professional help if, after two or three weeks of working on a command, your dog does not obey each time you ask. Don’t feed your dog ‘people food’ from the table and don’t allow begging. use a treat to lure him off. Otherwise, try to limit his access to your bed and/or furniture by using baby gates or a crate, or by closing doors. Always remember to reward appropriate behavior. Consult your veterinarian about acupuncture, massage therapy, or drug therapy. Your veterinarian may prescribe the temporary use of medication to be used in conjunction with behavior modification. Consider enrolling your dog in a training class. This may help establish a relationship between you and your dog in which you give commands and he obeys them. Be sure to choose a trainer who uses positive reinforcement methods. Understand that obedience classes alone, however, won’t necessarily prevent or reduce dominance aggression. From your dog’s point of view, children, too, have a place in the dominance hierarchy. Because children are smaller and get down on the dog’s level to play, dogs often consider them to be playmates rather than superiors. Small children and dogs should never be left alone together without adult supervision. Older children should be taught how to play and interact appropriately and safely with dogs. Under no circumstances, however, should a child be left alone with a dog who has displayed signs of aggression. He wagged his tail and jumped into my arms. And licked me all over. Sometimes in his eyes it was shown. Today in a world where everyone seems to be running somewhere but getting nowhere, the one who suffers most is the dog. Everybody seems to be busy. Everybody has some problem. When dog get sick they have to be treated on the run. So they all want instant remedies. Man today has limited his time by pretending to be efficient. Today no one wants to cook much. Eating out is the done thing. They do not want to bother to prepare food for the dog. So they all buy dry food. When they see the label that promises it to be a complete diet they are happy. They can pat themselves on their back. They have done their best. After all the food is imported. It must be better than what we prepare. This way we console ourselves. All this seem ok till a dog gets sick. Then what do we do? We run to the Vet and mumble, generally that it did not eat for so many days. The vet gives some injections and the dog eats the next day and we are happy. But, does the dog recover with that one visit to the vet.? No. Recovery is, if at all generally slow. Why? Because the dog is already under the stress of a bad diet. As mentioned in my previous article, the healthy dog is one that is basically fed well. A well balanced diet gives the dog the strength to resist disease, while a poor diet invites disease and makes recovery a very slow process. When the dog is taken to a vet, except for a few dog lovers, others ask the servant when the dog ate last and tells that to the vet. Many people like to think that once a dog starts to eat it has fully recovered. They never check the gums to see if the they are still pale, and never check to see it there are red spots on the belly. They simply wait to see the dog eat. A basic diet in this country is made up of leftovers which hardly make for a balanced diet. Proteins are at a minimum, eggs are never heard of. All this leads to a dog developing various chronic conditions. When drugs are given to us we know how bad we feel. The after effects make us feel lethargic. We get sore throats and bad stomachs. We sometimes vomit. All this is because of the stress caused by the drugs. It is then safe to presume that the dog too feels the same because it must be going through the same stress. Sometimes a vitamins are given with the drugs. Most people think that continuing the vitamins after the prescription is harmful to the dog, or so they say. Vitamins help the body in its daily functions. Vitamins help the body repair itself and Vitamins clear all the free radicals from the body. This alone helps the body perform better. Especially in time of stress more vitamins are needed to perform this task. Vitamins are of two types/ water soluble and fat soluble. The water soluble ones are vitamin B and C. while the A , D and E are fat soluble. The unutilized water soluble vitamins pass out of the body with the urine. Very large doses may have some side effects. However the benefits are greater. In the case of fat soluble vitamins the unutilized are stored in the liver. Here again the doses required to cause toxicity have not been certified under every circumstance. However it is better to be a safe than sorry. In the case of a dog that is already malnourished it is better to go the extra mile and try to save the dog. When a disease remains long in the system it damages the internal organs. Here is the real damage. When the kidney and liver get affected it is like slow poisoning. It is really a slow death. You think that drugs should do it. Most vets will not tell you about vitamins. Then you can watch your dog die slowly. So then what is the solution for the average dog owner how genuinely wants to have a healthy dog? He has two options one is to learn nutrition or two he has to use supplements in the dog‘s diet. Quality it is obviously lacking vitamins and minerals. Besides the proteins and fats these are the two most important things in a diet. Supplements like Brewer’s yeast have been known to be one of the most beneficial of all supplements. This residue yeast which does not rise, contains a lot of nutrition. Several of supplement tablets are made with this. Dogs also like to eat it has a meaty taste. This can be easily added to food, made an ingredient in a recipe and easily fed to the animals. When a supplement like this is given daily or at least regularly you will find that over a period of time it has balanced many of the shortfalls in the diet. There is no substitute for a complete diet. But supplements help and dogs need them. I am a multi-talented person. In my career I have worked in Accounts Marketing Designing ,Journalism and Teaching. In all these fields I have learned things that I carried forward to make the next one better. I have always loved art. Now it is time to teach others and see that they get their just rewards for their talent and ability.